Rotronic, the world-leading Swiss manufacturer of products for the measurement of temperature and humidity, low dew point, CO2, differential pressure and airflow, first introduced Rotronic RMS during 2015 as a complete solution to managing environmental parameters. 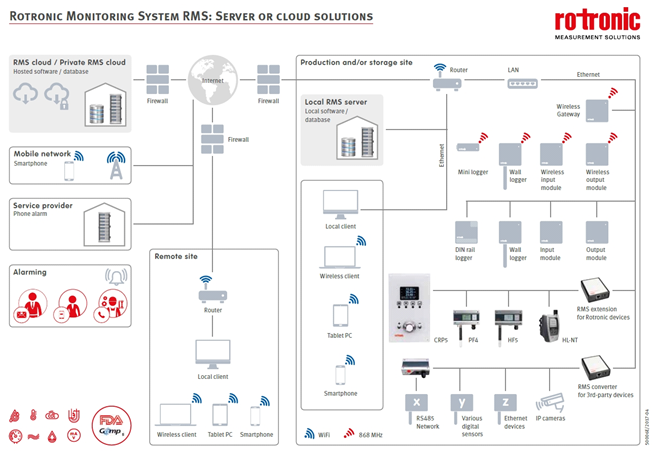 RMS is a centralized modern continuous monitoring system that embraces open architecture and interoperability to provide a single complete, flexible and yet simple environmental monitoring solution to replace a series of fragmented and complex systems working in isolation. It checks, documents and visualizes all required measurements in one place and makes data available to the user in desired form, to be retrieved from anywhere, at any time from desktop/laptop (PC or Mac) or mobile devices. 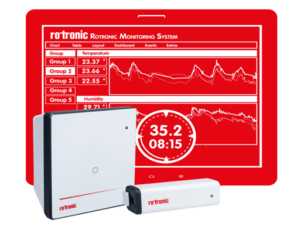 The system offers a one-stop solution for which Rotronic offers a wide range of sensors, probes and input devices. It is also compatible across a broad range of third-party devices and systems. In this product bulletin, we set out to answer the question: “What is RMS?” both from technical and practical user points of view. The practical answers to the questions “What is RMS?” and “What does RMS do?” are of importance to its end-users; primarily project managers and supervisors across a wide range of applications. These include laboratories, cleanrooms as well as production and manufacturing processes, stability cabinets and storage facilities throughout the food, pharmaceutical, biotechnology and cosmetic industries. The modular RMS system is also highly suitable for monitoring data reliably for building management systems, across industry, museums and art galleries, archive stores and during the transportation of valuable products that are sensitive to variations in humidity and temperature levels. RMS can be provided as a hosted cloud service or using a traditional license whereby the client installs the system on their servers (local or cloud). 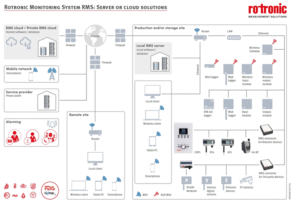 Core RMS hardware includes Ethernet, Wi-Fi, industrial wireless and RS485 devices as well as full support for existing Rotronic devices, 3rd-party analogue devices and digital devices using any of the above interfaces. The technical aspects of RMS are important for IT project managers, system integrators and cyber security managers; in other words, for those concerned with implementing the solution across the enterprise. Their main challenges are in getting the system approved and installed in line with wider corporate policies and security. Typically for larger more secure organisations, software is required to be installed within their network rather than using the Rotronic Cloud service. Below we discuss the main elements of this type of RMS installation. Webservice: This is software aspect of RMS. The webservice provides the interactive webpage to present data for end users and allow system configuration. The webservice also works in the background to interact with hardware and the database. Typically, the webpage will be part of the local intranet with an address like rms.yourorganisation.com, optionally the webpage can also be made accessible from the internet outside the organisation using means like the Rotronic cloud service (see link below). For end users, no special software or plugins are required; just a standard web-browser. More technically the RMS webservice is built around ASP.Net framework and runs under Windows IIS (internet information services). The webservice therefore requires a Windows Server (2008, 2012 or 2016). The RMS software can be run on a standard PC with IIS enabled but this is not usually advised except for specific applications. 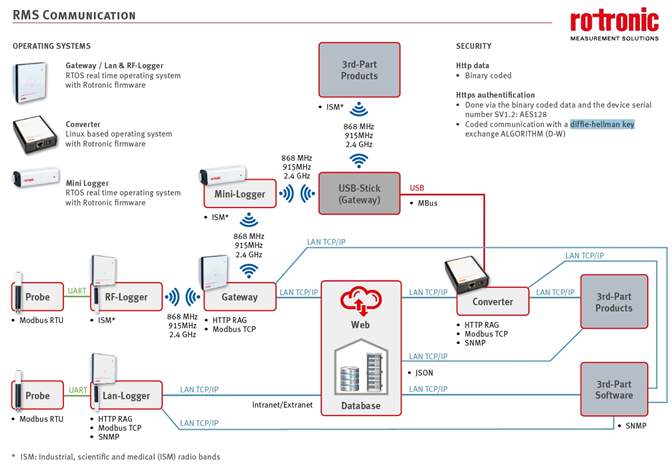 All Rotronic hardware initiates communication with the webservice via port 80. For cloud applications this means only port 80 must be opened outbound to allow the devices to initiate outbound communications to the server. All gateways have standard IP configurations (DHCP or fixed). SQL Database: The second part of the RMS is its database. All device, configuration, user and measured data is stored within a standard MS-SQL database. The database is accessed by the webservice to store and read data as required. An existing SQL server can be used if available otherwise SQL-Express is free to install. The RMS database requires Microsoft-SQL Express or higher, the database can be on the same server as the webservice or a separate machine. As RMS is built around standard server-based systems, there is full support for load balancing and failover, as such should a webserver or SQL server fail, a redundant/spare can take over. This is standard procedure for larger IT systems. Click on Rotronic Monitoring System explained for more information. 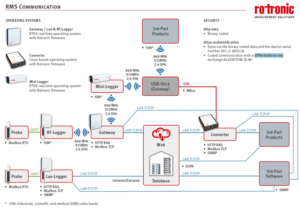 Click on Rotronic Cloud Service for further information and demo. Click on RMS online demonstrationto request guest access to RMS satellite website.